30 Jul, 2015 | Tags: blogs, promoting content. Promoting your online content can be frustrating. You’ve got content on Facebook, Twitter, Linkedin, Google+, Instagram, and you’re there trying to keep everything together while also sharing the reason you’re there in the first place: your business. You want to be fun, relevant, and humorous, sure. But it’s so easy to slip into a realm of trying to promote your content, and then just turning into a spam account. You know what we’re talking about. Just like “that guy” that keeps trying to sell the world his pyramid scheme vitamins and oils. Every business owner who is online has to come to understand the line of promotion and spam (so you don’t cross it), because no one wants to be “that guy”. No one wants constant “YOU NEED THIS IN YOUR LIFE RIGHT NOW” constantly in their newsfeed. Thankfully, Mike Schaefer has given you a totally free online e-book presentation talking about just this. His e-book is titled “How To Promote Your Content Without Being Spammy”, and he gives the best non-spam advice in quick, easy-to-understand tips. His e-book has 64 slides and will probably take you no more than 10 minutes to read. You’ll probably find it hard however, to not stop several times during the book and try out some of his ideas. Early on in his e-book he shows an infograph (based on a survey he entirely made up) basically poking fun at what people do with their time on the internet: 48% playing Farmville and 2% interacting with brand messages. The message he quickly gets across is that people of the interweb do not wish to be sold to, marketed to, or advertised to. Then he goes into ten non-spam ideas that you can try while sitting at your computer reading. One of our favorite tips is to join Triberr, a social network for bloggers. Mark Schaefer actually reveals that 8% of his blog traffic comes from Triberr. With that said, we will leave you to read the rest of his awesome content promoting tips in his e-book. After you read his e-book, we totally recommend following him on twitter: @MarkWSchaefer. We are living in the age of the Internet: where all types of communication and attitudes are welcome, bad news actually does travel faster than the speed of light, and everyone waits in the shadows for an opportunity to hop on a good (or bad) story. You know you’ve seen it before; the little business down some street you’ve never heard of is suddenly the talk of the entire Internet. Everyone starts ganging up on the business sharing the story via Facebook and Twitter with posts encouraging everyone to stop being a patron. Then after you’ve seen the story show up in your feed for the third time in an hour, you decide to read the story, and you realize the way the business handled a situation was cringe worthy. Let’s be honest, in the age of Internet, sometimes you won’t be able to stop some bad press from happening. There’s always going to be the outraged man who’s water wasn’t cold enough who fumed in your Yelp reviews. And don’t be too upset with the woman who keeps tagging your business on Facebook with hate posts, because truth be told, you probably won’t be able to make her happy. If you recall when Facebook would change their layouts, you would think a violent revolution was brewing based on the angry posts on your timeline. The internet makes it easy for people to indulge in anger, but eventually it all blows over. So here are some rules for dealing with bad press, and how to do it like a pro so that you can survive it and come out stronger in the process. One thing you should always remember about the internet: there is always a user somewhere that will “out-insult” you, and wherever you are, once you bring your best fight, that user will come out of the shadows and find you. Bad press happens. As a business owner, NEVER turn to your caps lock or profanity. The only way all caps are acceptable are when driving the point home to never reply to a customer IN ALL CAPS. Keep your cool, which leads us to our second rule. While you’re remaining cool, calm, and collected, still choose your battles wisely. The barrage of commenters will likely not back down, even if you are using legitimate arguments for reasons your business is being portrayed in an ugly light. Do spend time if necessary commenting on the situation, but don’t feel like you need to get into a comment battle with every individual with an opinion. Another option in these situations is to hire an outside PR agency to handle communication. No one is forcing you to say anything at all, and sometimes you may find the odds are in your favor if you’re silent anyway. Again, the users of the Internet will comment until they’re blue in the face whether or not you’re an active participant. Standing in the shadows quietly until the waters have calmed is never a bad idea. If you do choose silence as a strategy, this is a good time for you to listen to your customers. Don’t try to read every comment on the Internet, but do try to seek out your customers and listen to ways their experience with your business could be made better. At this step, your job is not to try and fix your bad press, or to make the press go away. Your job is to just listen. After the bad press starts to calm down, you’ve carefully chosen which battles to engage, and you’ve spent time listening to your customers, take this as an opportunity to come on the other side of this bad press as a better business owner. Take everything you learned during your time in front of the bad press spotlight to come back as a stronger business and business owner. Be honest about what took place, how you handled the event, and lastly what you’re doing to be a better business. Your customers will appreciate your honesty, and the Internet commenters will slither back into their shadows and await their next victim. If you have any stories, experiences you can share, feel free to leave them in the comments! According to an October 2013 study by the National Restaurant Association, we are seeing the growth of consumers’ acceptance and use of customer facing technology within the Food Service Industry. According to the study 63% adults use restaurant-related technology to order, make reservations and pay their bill via smart phones. Some restaurants and bars are now going one step further to offer quests tech gadgets at the table to enhance their experience. Chili’s National Restaurant recently ran a 5 month test with table technology for guests to order, pay and play $0.99 games while they wait. The results — 20% increase in sales. We have already seen some basic recent new technologies for purchasing with credit cards in small businesses. This trend will quickly trickle down to restaurants. As technology based applications quickly become the norm in providing a high level of customer experience in restaurants, we will also see an increase in technology to advance the behind the scenes aspects of your restaurants and bars. There are many options for scheduling employees that offer different benefits, however unless you are using What Time Do I Work.com online scheduling software, you are wasting time and money. What Time Do I Work.com online scheduling software simplifies the scheduling process by storing employee availability, preferences, skills and contact information in the program for easy access when creating schedules. Additionally the software offers real-time labor calculations, automatic overtime and conflict alerts, as well as communication features allowing your employees to own their schedules. Try our scheduling software free for the next 30 days and see how much time and money you can save! 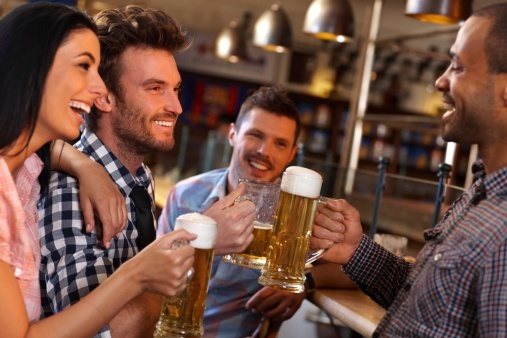 Recent trends are showing that people are no longer just going out with friends to hang out, but that they want something do when they head to the local watering hole. So what are you to do? The answer is simple: host Game/Trivia Nights to keep people coming back and increasing length of stay (which also results in higher sales). This is also a great way to get new customers through the door not only for the activities but through word of mouth marketing. To make these events successful we have put together a list of the top 5 tips. The first place to start is looking around your bar. The set up and resources in your bar will determine the events/activities that you can offer. Do you have pool tables, darts, etc. and/or do you have a stage area or room for patrons to participate and watch the events? You need to match the activity to your bar, and remember that people will also come to watch the fun. If you bar has a theme (sports, tropical, etc.) you should incorporate that theme into you activities. So for sports fans you could host trivia nights that are based on sporting facts. Little touches will make a big impression and keep people coming back through your door. Another great option for a theme could be based on the local area. You can’t have successful events without promotion. This does not mean that you need to take an ad out in the daily news, but posting information on social media is a great place to get started. If you have outdoor signage, that is a great place to promote upcoming events. You can also include flyers around the bar and on the tables for a few days leading up until the events. A great way to increase sales during these events is to offer special appetizers or drinks at discounted rates while the activity is happening. You could also create some special menu items that can be shared during the events. Don’t forget that you will need to increase the number of staff working to meet the increase in customers and sales. With scheduling software like What Time Do I Work.com you can easily create a conflict free schedule for these special nights. Schedules are then posted online for employees to view at anytime from anywhere. Additionally our software has advanced features such as real-time labor cost calculations, conflict and overtime alerts. To learn more about how your business can benefit from our online employee scheduling software, try our 30 day no obligation free trial. According to Wikipedia a Signature Cocktail “is any unique or original drink that expresses the nature of the person or establishment creating it.” Signature cocktails typically incorporate local ingredients and culture; match a theme or color for the establishment; and represents the customs of the local area. A signature cocktail is a distinction from your competitors and gives you an opportunity to enhance the experience of your customers. Before you start creating signature cocktails you should look at current trends. The new fad is all about juicing, try incorporating more juices into your signature drink to reach this portion of the population. We are also seeing a lot of bars and restaurants offering bacon in the drinks, adding a new flavor. Try experimenting with these trends to offer drinks that appeal to a large audience. When you go to start making your signature cocktail you will find that there are many ways to make a drink your own; you can even make your own liqueur by infusing fruits, herbs, or edible flowers into your favorite liquor to create a truly original drink. You should try combining complementary flavors like sweet & sour or sweet and salty. Another great way to create a signature drink is to substitute some ingredients and play with the recipe of other drinks, inevitably your drinks will come down to trial and error, but these steps will help until you find the perfect balance. 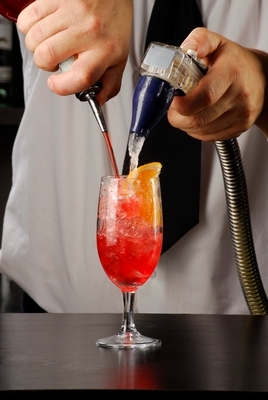 To find the extra time to experiment with your own unique cocktail, you can use online employee scheduling software. What Time Do I Work.com has helped many clients cut the time spent creating and updating schedules by more than 50%. This affordable scheduling software will make your scheduling a breeze and help you uncover unnecessary labors costs that you might not be aware of. With automated labor cost calculations, scheduling conflicts warnings and overtime shift notifications, you can significantly cut your labor costs. Try it today and get your first 30 days free with our no obligation free trial.